This young man sat alone in a large chair in a corner of the room. His hair fell in lank blond ropes about his head and occasionally a slender hand lifted absently and made ineffective gestures to flick them into place. He was built slightly and his stature was made more noticeable by a small stoop that could be seen even when he was seated. He was pale; but his pallidness suggested something more than a mere lack of sunshine. There seemed to be a doughy cushion beneath his skin; one had the impression that if the flesh of his face were touched by an inquisitive finger it would stay the way it was pushed, as if it lacked the normal resiliency of healthy skin and muscle. Set against this unusual pallidness was a surprising pair of blood-red lips. It was not exactly a sensual red, nor an unhealthy red. On the contrary, it seemed to be the only healthy feature of an otherwise sick countenance. Hardly the picture of health. His hair falls in ropes, as if he has not washed in days; his figure is “slight,” perhaps emaciated, and his posture poor, even while seated. He is pale, almost sickly, but with the suggestion not only of a lack of sunshine, but a lack of vitality itself. Williams confirms for us the state of his isolation: “[…] he was unnoticed and alone, and no one knew him. His name could be spoken by a few … and that was all. The bare, essential facts of his life were included in the knowledge of no person here. They were not deemed important enough to consider, much less to investigate.” An inauspicious beginning, to be sure, but it is something of a Williams trope to valourize the most unlikely of men. Australia, South America … now India again. Six months tagged off, four more ready for the plucking. Just waiting for me to fritter them away. We’re both waiting, time and me. It’s a game, you understand. It’s a race to see who can outwait the other. And when it’s over, no one’s the winner. That’s the final pay-off. Neither of us wins. Then suddenly he believed that for whatever happened to him for as long as he lived, no blame could be attached to himself. For he did not act, he had never acted from his own volition. Some unnameable power pushed him from one place to another, down paths he had no wish to travel, through doors he did not know and had no wish to know. All was dark and nameless and he walked in darkness. Revelation, alas, is no guarantee of redemption. 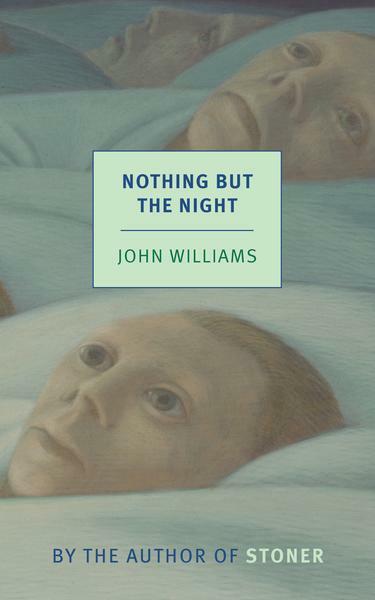 In his later life, Williams distanced himself from Nothing But The Night. It is very clearly the effort of a budding writer, and it lacks the perfection of design so evident in his later works, but it nonetheless has a strange power all its own. Its faults are not so egregious to rob it of its power to wound us, and even at such a young age, Williams was capable of crafting sentences of genuine beauty and insight. Perhaps the source of his shame is not that he wrote a bad book, but that he wrote one that does not redeem its protagonist – or its readers.